It’s spooky how much frozen bananas take on this creamy consistency…. *sorta* like ice cream. If you’ve never tried them, you really should! This is an easy 4-ingredeint little treat. 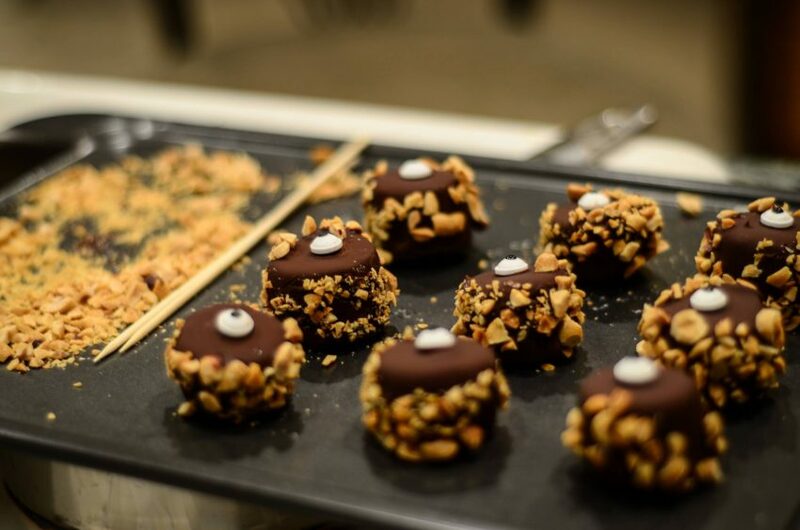 Just take frozen banana chunks, and roll them in melted dark chocolate – the darker the better. Roll the sides of that banana chunk in crushed peanuts (some of you told me you used unsweetened coconut or crushed pumpkin seeds…great idea!) Then add….the eyeball. The one element that takes it into Halloween status. 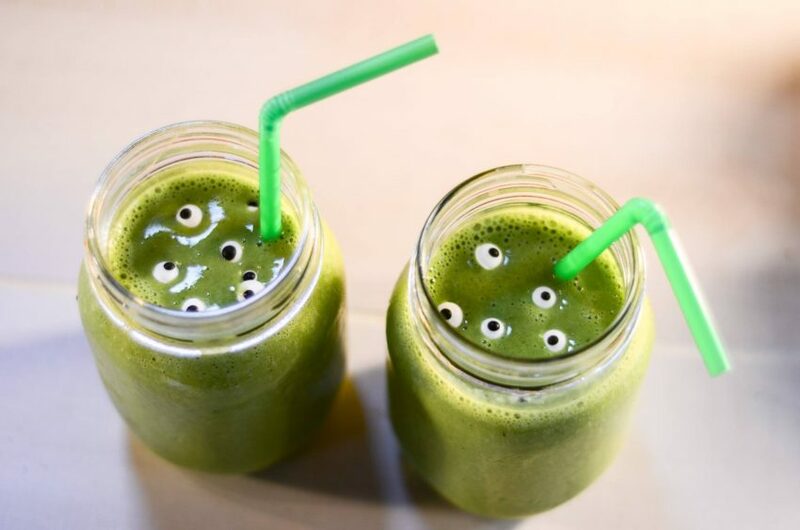 ‘ve added those little eyeballs to the top of healthy green smoothies before and called it “blended monster”…and kids loved it. I guess sometimes all it takes is one creepy-looking eye to help kids eat healthy. Have a safe and fun October 31st! 2. Place peanuts in a plate, or on parchment paper. Remove banana chunks from the freezer. 3. 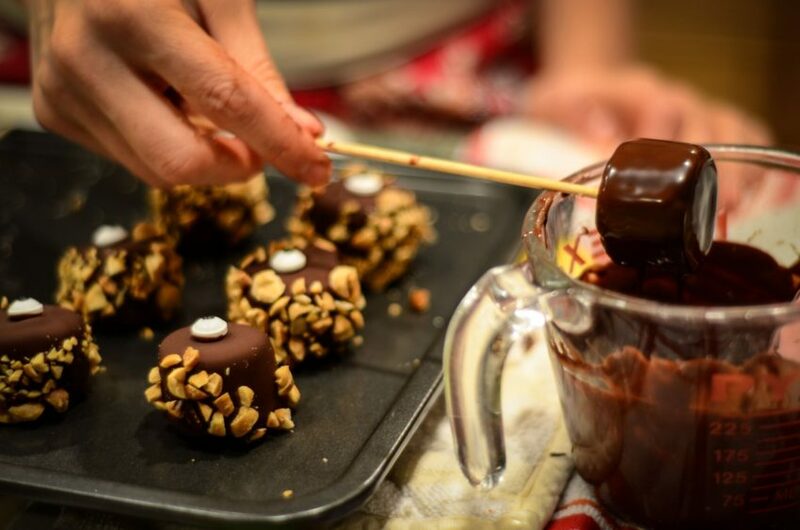 Working quickly, place the tip of the bamboo skewer into a frozen banana chunk, and dip it into the dark chocolate. 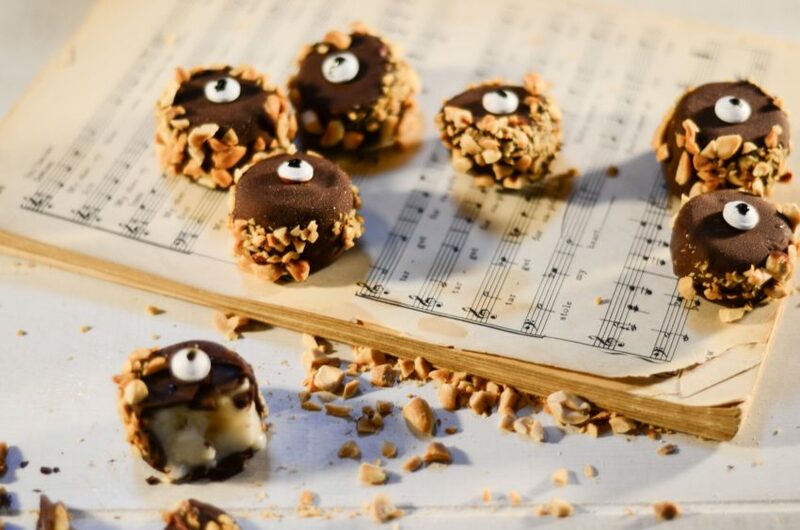 Immediately twirl chocolate-covered banana into peanuts, then place a little eyeball on top. Chocolate will harden up quickly! If chocolate hardened before you got the little eye on, just put a dab of melted dark chocolate on the back of the eyeball and attach. Repeat for the rest of the frozen banana chunks.